Deep, dark, melodic, hypnotic electronic music - that's what we crave and share with all of you. Previously a .com blog in its heyday, the focus now is purely on sharing and reposting mixes that deserve to be listened to... because there are like-minded souls out there, dreamers that need a place they can rely on to find the finest mixes out there. Drop us a message with your mix and we'll give it a listen. On SoundCloud you'll find all our guest mixes to date: #01 F2U (Portugal) #02 Fake Art (France) #03 Drop7 (France) #04 PTN (Italy) #05 Vakkuum (USA/Canada) #06 BoRRoBeats (Germany) #07 Attaque (UK) #08 THE SNEEKERS (Lithuania) #09 Clash The Disco Kids (Singapore) #10 Dunjinz (USA) #11 Henzel &amp; Disco Nova (Holland) #12 Sonny Denja (Italy) #13 Hoshina Anniversary (Japan) (PREVIOUSLY ON...) djsetoftheweek.com blog ethos: With electro growing in popularity meanwhile evolving, mutating and interlinking with other electronic music genres, this blog is a platform where dj sets and mixes are shared daily. Here you'll find anything and everything even mildly related to electro and the so-called future techno... from electro-tech, electro-disco, melodic techno... you name it. We strongly support upcoming artists so if you're serious about thriving as a dj AND PRODUCER send us your electro-related DJ set/mix to djsetoftheweek@gmail.com and/or nuno.vaz.martins@gmail.com. 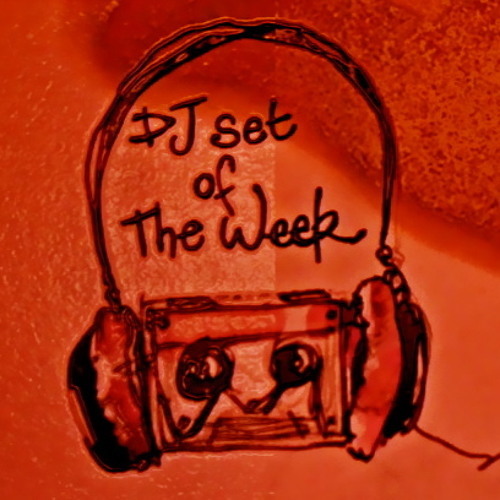 Visit us at djsetoftheweek.com and find us on facebook or twitter!